Ovation Press' sheet music for violin covers a wide range of fully-edited orchestral excerpts and parts, unique transcriptions and arrangements, solo pieces and chamber music. 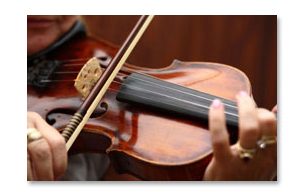 Below you will find the complete list of violin sheet music available from Ovation Press. All scores are available to print instantly!